Michigan consists of two peninsulas, the Lower and the Upper, separated by the Straits of Mackinac, a channel that joins Lake Huron to Lake Michigan. Surrounded by four of the five Great Lakes, Michigan has the longest freshwater coastline of any state or province in the world. The Lower Peninsula is relatively flat, but the Porcupine Mountains in the western part of the Upper Peninsula rise to about 2,000 feet. Hunting is a way of life in the state of Michigan. Generations of hunters have made a tradition out of heading to deer camps in the scenic, heavily forested Upper Peninsula (known as “the U.P.”) every fall. The Great Lakes State has a huge white-tailed deer population, but because the state is so heavily hunted, it’s not easy to find large, mature bucks. The largest deer are typically found in the Lower Peninsula, especially in the farmland areas in the southern part of the state. The former world-record 8-point whitetail was killed in 2001 in Hillsdale County. The buck scored 180 3/8 inches. The 8-point record was broken recently by an Illinois 8-pointer that scored 183 1/8 inches. With so much freshwater coastline, waterfowl hunting opportunity abounds. Saginaw Bay and the St. Clair River Flats are famous destinations for hunting diving ducks, but there are many areas to hunt geese and puddle ducks as well, including wood ducks on beaver ponds in the Upper Peninsula and geese in the Lower Peninsula’s Wetland Wonders. 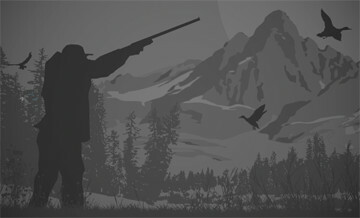 Michigan is among the leading states in the nation for upland bird hunting, particularly ruffed grouse and woodcock, and hunts for wild turkeys and small game are very popular. There is a thriving population of black bears in Michigan, and licenses are available through a drawing. In 2017, 7,140 bear licenses were issued across 10 bear management units. Michigan also has a huntable population of elk, with just 200 licenses issued last year through a drawing. Anyone who hunts in Michigan must first purchase a base license. 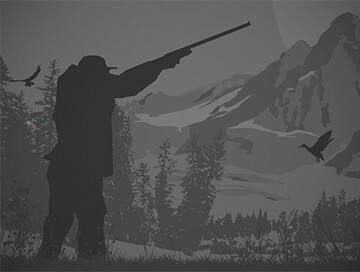 Once a hunter has a base license other licenses can be purchased for various species. Learn more about hunting in Michigan at http://www.michigan.gov/dnr/.